We look forward to welcoming you to Novotel Nadi! Touch down to 4-star comfort, a three minute drive from the airport and 15 minutes to Port Denarau for boat transfers to the islands. Take advantage of complimentary shuttle transfers to/from airport by providing your flight details. 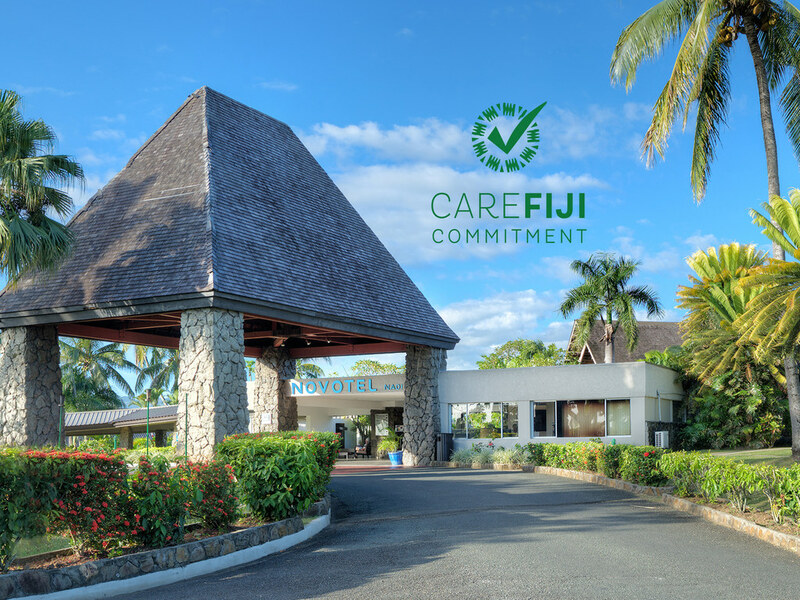 Novotel Nadi hotel is situated on 42 acres of tropical gardens with every room overlooking the golf course and gardens. With a dip in the pool and breakfast on the garden terrace your day gets off to a fresh start at Novotel. Breakfast. Full breakfast buffet served 7 days / 7 from 6 am to 10 pm. Continental breakfast from 5:30 am to guests leaving before 6am. Lunch and dinner à la carte. Menu with European cuisine and specialties of the Pacific. 청소 후 닦아놓은 컵을 쓰려고 보니 거품이 바닥에 남아 있었고 청소가 만족스럽지 못했다. L. Kyongsook님께, 소중한 시간을 내어 Novotel Nadi 이용 소감을 작성해 주셔서 대단히 감사드립니다. 투숙하시는 동안 호텔 이용에 불편을 드려 심심한 사과의 말씀을 전합니다. Novotel에서는 모든 고객님께 최고의 서비스를 제공하기 위해 노력하고 있습니다. 이에 따라 고객님의 의견은 호텔 서비스를 개선하는 데 매우 소중하게 사용될 것입니다. 고객님의 의견은 호텔 서비스 문제점을 해결하고 향후 그러한 문제가 더 이상 발생하지 않도록 하기 위한 기준으로 반영됩니다. 호텔 이용 중 경험한 불만 사항이나 문제점을 말씀해 주시면 본 호텔이 향후 보다 나은 서비스를 제공할 수 있는 밑거름이 될 것입니다. 감사합니다. 짧은 투숙엔 최적이나 장기 투숙에는 조금 지루할 것 같다는 느낌? 호텔내에서도 좀 더 다양한 경험을 할 수 있는 프로그램이 있으면 좋겠다.